Free Shipping Included! 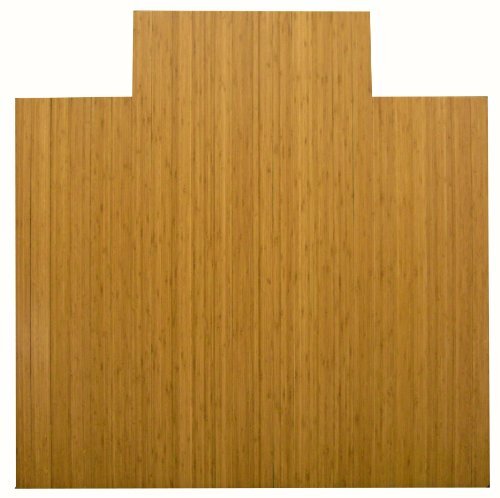 Save 1% on the Anji Mountain AMB24008 Bamboo Roll-Up Chairmat with Lip, Natural, 55 x 57-Inch by Anji Mountain at Momiji Studios. MPN: AMB24008. Hurry! Limited time offer. Offer valid only while supplies last. Our patented Bamboo Office Chairmats have introduced eco-friendly style to what was formerly an unattractive and purely functional accessory. If you have any questions about this product by Anji Mountain, contact us by completing and submitting the form below. If you are looking for a specif part number, please include it with your message. Chair Mats 46" x 60" without Lip for Carpeted Floors - Premium Thickness 1/5"